Ice cream. Gelato. Soft serve. It doesn’t matter what you call it, there is only one way to get through summer, especially one as hot as the one here in Barcelona, and it is through the sugary sweetness of frozen goodness. Today, we are looking at the best Barcelona has to offer. So what is DelaCrem? An artisanal Italian gelato and pastry shop using only 100% natural ingredients. Massimo Pignata is the creator behind DelaCrem in Barcelona. After leaving his native Italy, he moved to Barcelona and opened DelaCrem in Eixample. Using traditional methods and only the best ingredients, DelaCrem is some of the best gelato Barcelona has to offer. Thick and smooth, it is stored in steel drums under a marble counter, a distinct sign of quality. There is no doubt: if you’re looking for gelato in Barcelona, DelaCrem is the real deal. Without a doubt Horchateria Sirvent has some good ice cream. Served in their charming restaurant next to the Sant Antoni Market, they offer a diverse selection of truly delicious gelato, but what they are really known for is horchata. Horchata (or Orxata) is not new to Barcelona. Originally from Valencia, this milky drink is made from ground almonds, sesame seeds, rice, barley, tigernuts(chufas), or melon seeds. In Spain, it is typically tigernuts, and is flavoured with vanilla, sugar, and cinnamon. While this might sound like a sugary overload, the tigernuts give it a distinctly green aftertaste that helps take some of the sweetness of your tongue. It can be served iced, as a slushy, or even as ice cream. Though good in all weather, it makes for the perfect summer treat. On top of serving some very good ice cream, this small shop in the Gothic Quarter of Barcelona, this shop offers a variety of of diet-specific options. Let’s look through them. 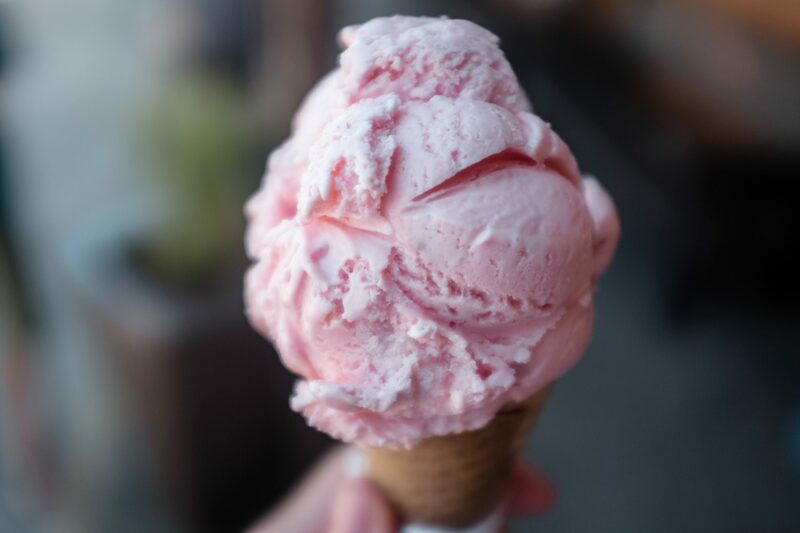 First, La Gelateria del Barri offers gluten free options for their ice cream and cones, making it perfect for those with gluten sensitivities. Next, all of their flavours are vegan, offering a wide range of options for vegans and people who are lactose intolerant or dairy free. Finally, they have many sugar free options for diabetics or those try to watch their sugar intake. The final cherry on top? They serve Sirvent Horchata, which you can also pick up in litre bottles to take home.